Three multiple-shootings made the news in the past week, two in Copenhagen ostensibly by Muslims inspired by the Charlie Hebdo attack and one in Chapel Hill, SC, by a white American male who shot three Muslims. The latter attack may not have been motivated by ideology and the instigator in fact appears to have been an ardent Left-winger. I would personally not rule out Israeli false-flag attacks for the Copenhagen and Paris events. Multiple events, days apart, of relatively low severity: this suggests a weak Bloodbath Formula triggered by slower-moving planets. 2. Venus in Pisces, ruled by Neptune. 3. 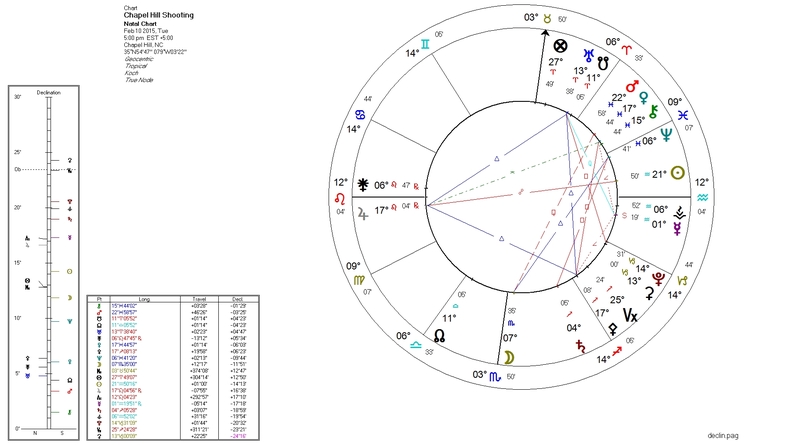 Venus co-ruled by Jupiter which is quincunx Pluto. 4. 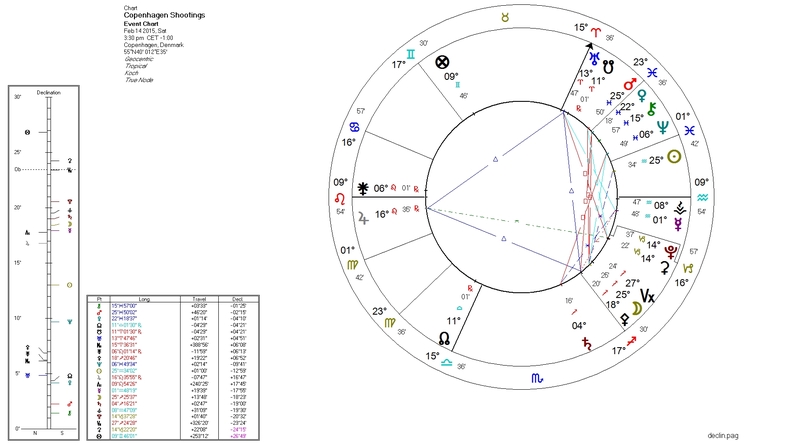 Moon ruled by Pluto (Chapel Hill) or by Jupiter which is quincunx Pluto (Copenhagen). 5. Sun ruled by Uranus (squared by Pluto) and Saturn (novile Pluto). I track such evil events on this blog in part because the primary concern of libertarianism is the presence or absence of aggression, and in order to demonstrate that my admittedly radical astrological theories actually work.